On average, Americans eat about 17 teaspoons of added sugars every day. That adds up to a whopping 57 pounds a year. Walk into any grocery store, grab a few packaged products, and flip to the ingredients. You’ll likely spot added sugars — lots of them — provided you can discern their dizzying array of names: sucrose, dextrose, barley malt, agave nectar, high-fructose corn syrup, treacle, to list just a few. When Dean Schillinger, M.D., was a resident at San Francisco General Hospital in the early 1990s, almost half his patients had HIV or AIDS. Today, he’s chief of general internal medicine at the hospital, and a new crisis occupies him: Nearly half his patients have type 2 diabetes. Many grapple with its horrific toll, including blindness, kidney failure, amputations, heart attacks, and strokes. It’s not the only disease that’s reared its ugly head in recent decades. Nonalcoholic fatty liver disease — a buildup of extra fat in liver cells, which can lead to cirrhosis, or scarring of liver tissue — wasn’t even a known diagnostic entity 30 years ago. Now almost one-third of U.S. adults have it. The disease is on track to become the leading cause of liver transplantation within five years. And doctors are treating the first generation of kids with fatty livers. “We need the general public to become aware of what’s going on” with industry influence, says Dean Schillinger (above). That “something” includes many societal shifts — such as sedentary lifestyles and larger portion sizes — as well as greatly increased consumption of added sugars, say Schillinger and others. Americans eat far more packaged foods and consume more sugary beverages than we did 50 years ago. 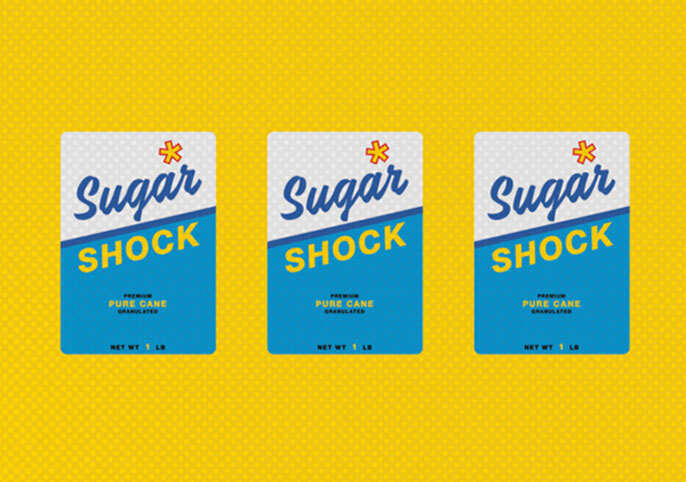 And sweeteners are almost impossible to escape: They’re in three-fourths of packaged products. Liquid sugar, in the form of sodas, energy drinks, and sports drinks, represents 36 percent of the added sugar we consume. On average, Americans eat about 17 teaspoons of added sugars every day — substantially more than the U.S. Dietary Guidelines’ recommended maximum of 12 teaspoons on a 2,000-calorie diet. That adds up to a whopping 57 pounds a year. “Our food system is completely out of whack,” says Laura Schmidt, Ph.D., MSW, MPH, a professor of health policy and the lead investigator of UCSF’s SugarScience initiative. Even worse, the triglycerides that stay in the liver affect insulin’s ability to regulate blood sugar, a condition known as insulin resistance. This causes more fructose to be turned into fat and accelerates the amount of fat the liver releases into the blood. It’s a vicious cycle — one too many Americans are trapped in. Health policy expert Laura Schmidt (right), who collaborates with sugar industry investigator Cristin Kearns (left). In addition, the UCSF Industry Documents Library — which houses tobacco industry documents — and the UCSF Philip R. Lee Institute for Health Policy Studies launched the first-ever food industry document archive in November 2018. It includes thousands of previously secret documents by food industry executives, including Kearns’ stash, illuminating how the industry manipulates public health. It’s open to journalists, academics, and the public. Schmidt is working on soda tax initiatives with policymakers in the Bay Area and around the world, from India to Africa to Mexico. “Taxes trigger what I call a virtuous cycle of policymaking,” she says. Taxes gently discourage consumers from buying harmful products, while also generating funds that governments can pour into prevention — such as better screening for diabetes, construction of water refilling stations in low-income communities, and promulgation of public health messages. Schmidt points to other encouraging trends — soda taxes have been implemented in 33 countries, for example, — but says we still have a long way to go to prevent the looming tsunami of sugar-fueled diseases.